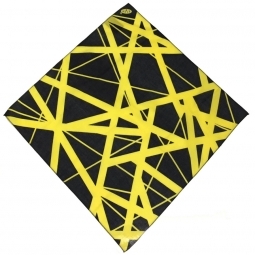 This "Classic Stripes" White/Black Bandana is just so VAN HALEN! It is what it is! Very good quality and vibrant crisp colours. Great as a dust cover for anything. The kicker ... 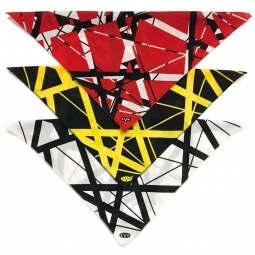 I've never seen a EVH B&W striped bandanna like this before. Must have! !